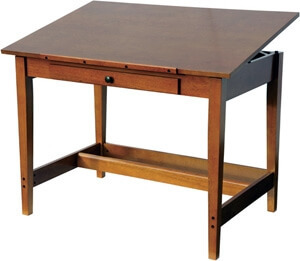 The Alvin Vanguard 42" W x 28" D drafting table (VAN42) is made from eco-friendly, sustainable rubber wood that is valued for its dense grain and is often compared to fine teak. 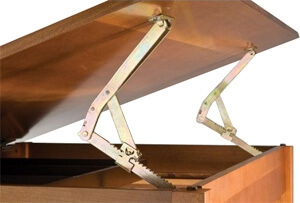 It has a drawer with two dividers and a top that tilts 45 degrees. Length of pencil ledge — 25"